The United Methodist Publishing House (UMPH) has been creating, publishing, and distributing Christian materials since 1789. 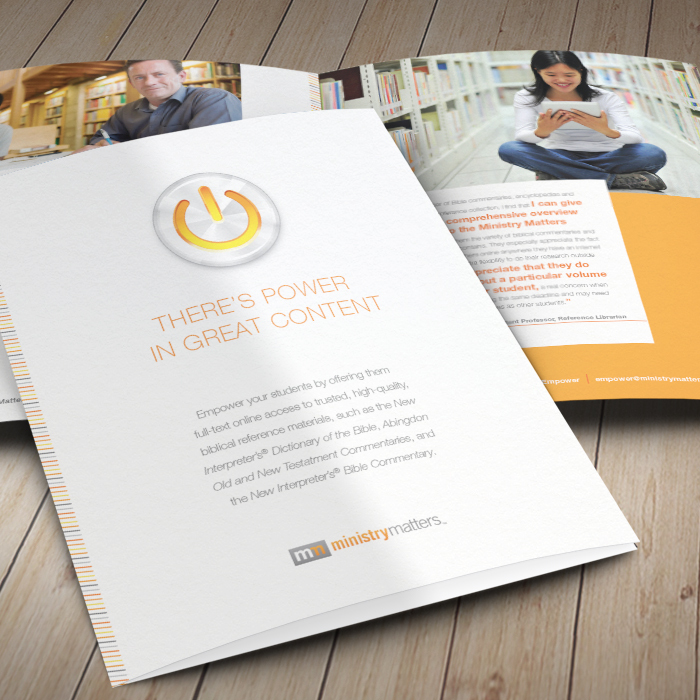 Having compiled these materials for more than two centuries, UMPH desired to launch a culturally and technically-relevant system that could provide a fresh face for the organization, reach a broader Christian market, and house, categorize and make accessible copious amounts of content across varied formats (books, articles, videos, e-books etc.). 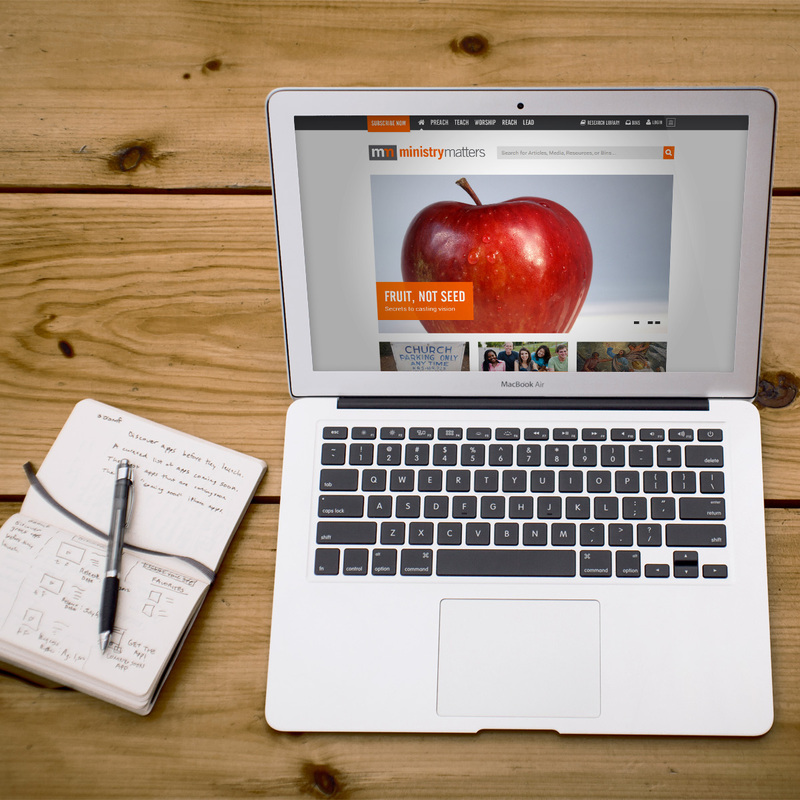 Customized to specifically address the unique challenges of UMPH, The A Group developed MinistryMatters.com, a website that housed hundreds of years of content in a digital format. The website puts thousands of resources at the fingertips of the world, allowing users to sort by topic, types of content or ministry areas. Users can create profiles, interact with others and store content in organized "bins" for future reference. 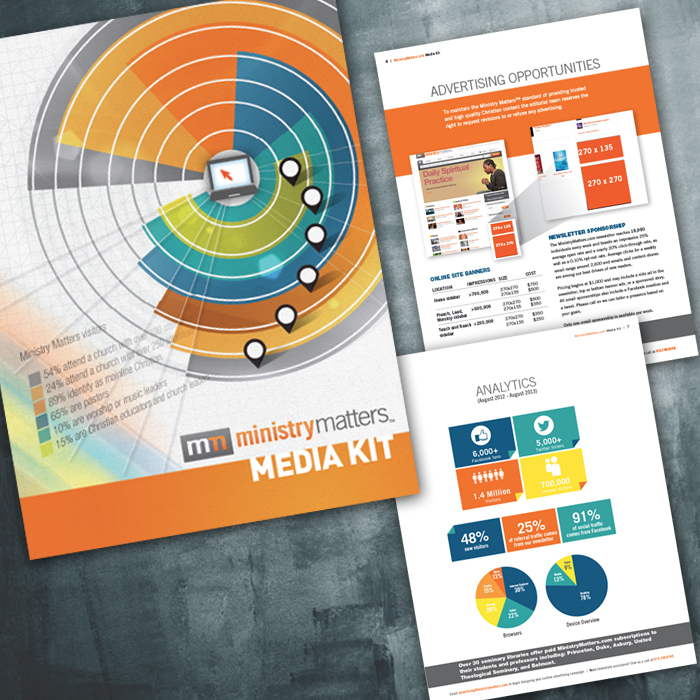 In addition to the web build, The A Group helped brand and market Ministry Matters by developing the name and tagline, as well as a variety of creative pieces and an aggressive marketing campaign that included advertising, collateral, welcome kits for influencers, and video testimonials from key Christian leaders. TAG continues to partner with Ministry Matters to create branded content and marketing materials for the ongoing success of the platform.